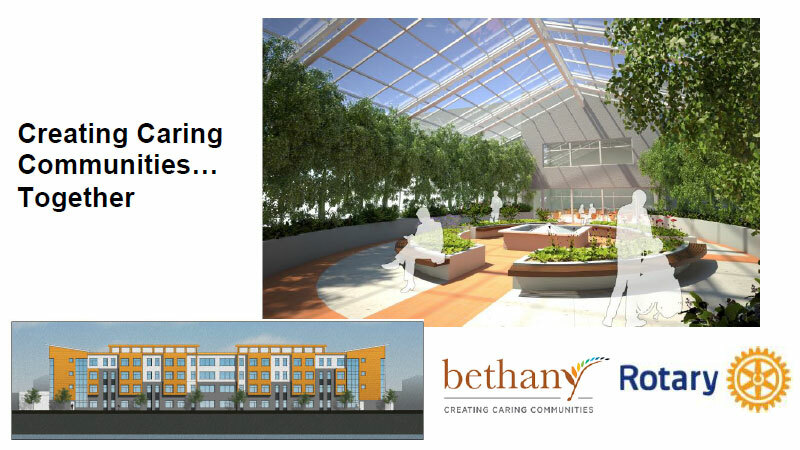 Bethany Riverview will be a 210-bed integrated campus of care situated on 2.8 acres ... based on a purpose-built design that fully integrates the care centre as part of the community in ways that are visible, meaningful and innovative. Click for more information and to become involved. 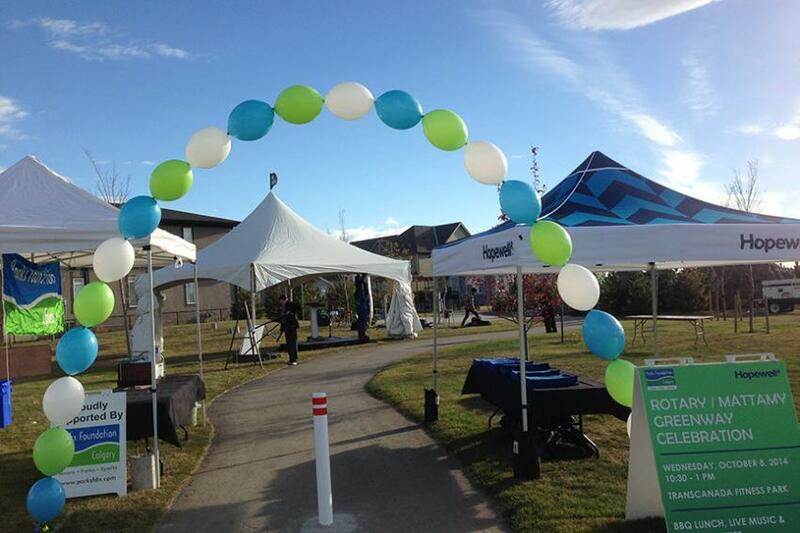 Parks Foundation Calgary celebrated the Grand Opening of Calgary's nearly 1,000 km of pathways with the Rotary/Mattamy Greenway Project. The Greenway is a 138 km network of parks and pathways encircles the city. Along the pathway, users will find unique amenities like no other in the city: speciality off-leash dog parks, family fitness parks, educational wetland interpretive areas, and unique play structures. The Greenway is a year-round destination for cyclists, cross-country skiers, runners, walkers, nature lovers, and kids of all ages to play outdoors. 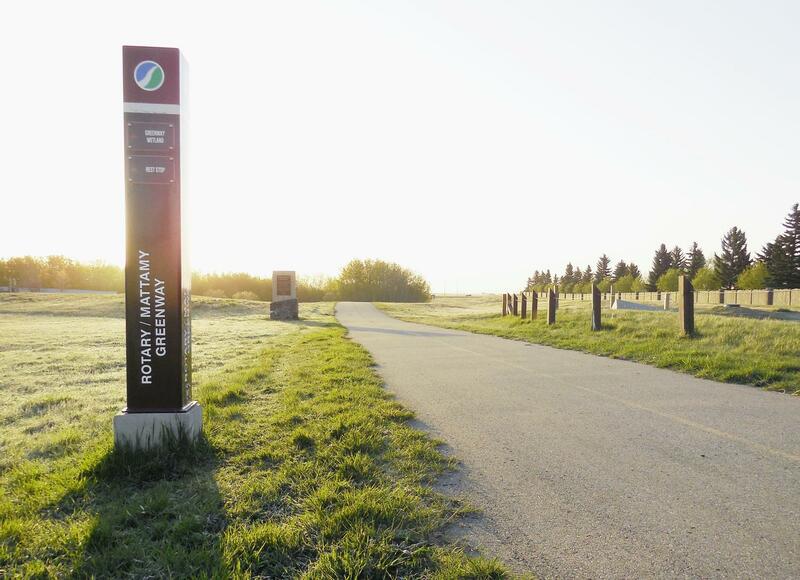 Directly connecting to 55 Calgary communities in all four quadrants, and to The City of Calgary's existing pathway network, makes the Greenway accessible to all Calgarians. The Greenway is now the longest urban pathway and park system in the world. 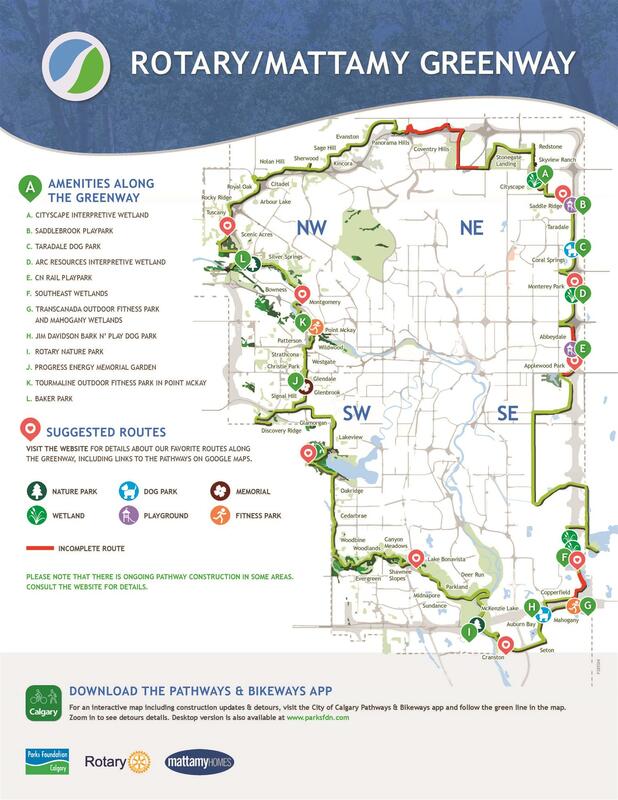 Click for more information and to see suggested route maps with areas of interest. 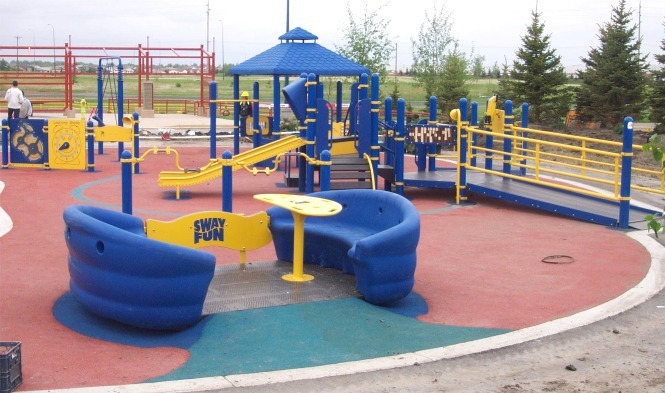 Calgary Rotary Challenger Park is the result of a partnership of individuals and organisations representing more than 100,000 people in the community. Through this ongoing combined effort, the Park has become and will remain a thriving success for Calgary. 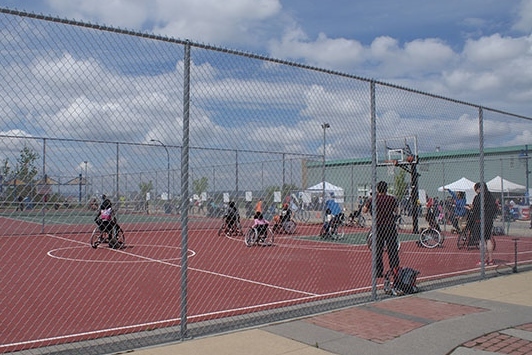 Calgary Rotary Challenger Park is a barrier-free meeting and recreational facility that is accessible to all people regardless of their age or ability. The Park boasts 2 ball diamonds, a football/soccer field, a 400m running track, a fields event area, a barrier-free playground, parking for 250 vehicles. The Park also includes a vast recreational area, a specialised playgrounds, tennis and basketball courts. There are Administration buildings and meeting rooms. Click for more information and to become involved. Rotary, Inclusion Alberta and Alberta Human Services are committed to working in partnership with the business and broader community to create meaningful employment opportunities for people with developmental disabilities. To date the Rotary Employment Partnership has created more that 370 meaningful jobs for adults with developmental disabilities with an average wage of more that $14 per hour. Worksites include a wide array of companies from one-person businesses to large international firms ranging from office jobs to manufacturing and technology. With the success of the Rotary Employment Partnership in Alberta, the idea has expanded to other Canadian provinces and a number of countries. Click for more information or to find your next employee. The Calgary Rotary Clubs Foundation currently enjoys the participation of all 13 clubs located in the City. Each club maintains its own balance within the Foundation and realises returns on that balance. Since inception, the CRCF has paid out over $15 million to participating clubs, greatly enhancing their ability to fund local projects. The CRCF can truly be a gift that keeps on giving. Click for more information and to donate.